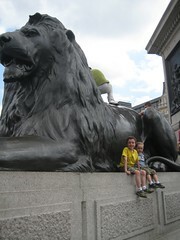 So this is my last post as "Minneapolis Mommy In London." Stay tuned for my new name and slant, it's a work in progress but I'm getting there. Sooooo......I thought that spending a year living in London, arguably the capital of the world, would somehow leave me feeling "let down" when I moved home. Perhaps a bit, you know, wanting for more. Missing all that urbanism, history, energy, beauty, entertainment, and diversity. I'm blissfully reporting that I thought wrong. I am seeing my home through a new, more experienced lens. A lens that recognizes amazing things when it sees it, and let me tell you Minneapolis is full of them. I feel a bit like a tourist in my own home, and have a deeper appreciation for what my city has to offer me and my family. I am rejuvenated for life here. So well, well, well. That year abroad did my spirit some good. written July 29th My current altitude is 37,966 feet and the outside air temperature is -65 F. I am somewhere between Greenland and Canada traveling at 850 km/hour. I have traveled somewhere around 2300 miles from London. Next to me are my three boys, two of them watching Sponge Bob on the airline video-on-demand contraption, and the the third working on his laptop. We are finally on our way home. I feel good, but somewhat like a wrung-out dish rag. Yesterday and the day prior were full of emotional farewells, suitcase packing and this morning we said goodbye out loud to all our favorite sights along the way in the taxi. Elliot & Quinton are troopers, as always, despite Elliot's crankiness caused by motion sickness meds (but I guess he's not barfing!). We hopefully have nine checked pieces of luggage below us in the belly of the airplane. We will arrive a little ahead of schedule, and about five hours past the boys' bedtime. Should be interesting, as always. The boxes, "Craiget" and Bridget all left this morning. My stomach sort of hurts. The flat is a bit like a wasteland, the boys are really stressed out and tired, and I have to say that watching 15 boxes of our favorite things, even though they are just things, go off on a big truck to find a ship to cross the ocean was a bit nerve wracking. Fortunately the events of the morning are sandwiched between a lovely night out last night with Craig & Bridget (dinner & another showing of Wicked - just as good the 2nd time!) and an upcoming birthday party at the park for Xain today. Hopefully the space and fresh air will help all three of us burn off some of our anxiety. I am so ready to come home and begin the next chapter of life. These last days of organizing our departure, while quite necessary, are a bit agonizing. But nothing some big hugs from our loved ones and a few nights back in our own beds can't cure, I'm sure.